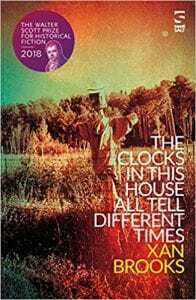 The Clocks In This House All Tell Different Times by Xan Brooks is an enchanting, magical tale about the most disturbing and depraved elements of human survival. Taking place a couple years after the first world war, the story follows several characters that have been drastically changed by the conflict that gripped England for so long. Haunted by the challenges presented with trauma, the characters are drawn together through their search for survival and desire for a future. Lucy Marsh and her brother Tom are orphans of the war effort. Sent to live with their grandparents in an economically failing bar, Lucy and Tom lead average childhoods. That is until one Sunday evening Lucy is invited to the woods for a fantastical meeting of the Funny Men. Lucy, along with orphans Winifred, Jon, and Edith begin meeting with the Funny Men every Sunday evening in exchange for a small monetary stipend paid to their grandparents. A point that Lucy is very proud of. Each of the Funny Men, named after Dorothy’s companions from The Wonderful Wizard of OZ, are residents in the Grantwood Estate charitable foundation for wounded soldiers, and suffered extreme disfigurement during the war. Lucy and the other children perform tasks for the Funny Men that they regard as only mildly distasteful but overall they value the small pleasures afforded to them by the outings. When tragedy strikes the orphans and Funny Men, the activities are forced to end. However, both Winifred and Lucy contrive a way to continue their enterprise with the Funny Men, becoming increasingly involved with the Grantwood Estate. As the girls are given access to the estate they are pulled into a world of spiritualists, camels, lavish parties, eccentric house guests, trays of cocaine, expensive gowns, and ever flowing alcohol. Grantwood House becomes their world filled with boundless adventure and mysticism. But beneath the surface lies even more terror and danger. Brooks expertly uses beautifully constructed prose to contrive experiences that are just beyond belief. The humor and happenstance is enthralling and charming which only adds to the horror experienced by the reader as the story slowly reveals the real activities of the Grantwood Estate. The house, just as the novel, possesses a gorgeous exterior that is quickly dispelled for anyone who occupies the space. While Lucy is first enamoured by her work with the Funny Men, that too, loses its appeal with time and experience. 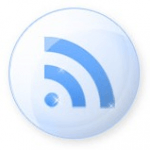 Brooks does an excellent job at playing with his readers, ensuring that the characters and activities of the story are never what they initially seem. Furthermore, the story ambitiously tackles themes of poverty, class, war, nostalgia, and disillusionment. Each character’s moral standards are constantly in flux with very little self acknowledgement of contradiction on their behalf. While the novel is written to emulate the style of simpler fairytales, there is nothing simple or pure about this story. Often, it is the Funny Men, who are called monsters for their appearance. However, Brooks’ characters are all monsters at one point or another, as they blur the lines between wants and needs, survival and desire, choice and entrapment. 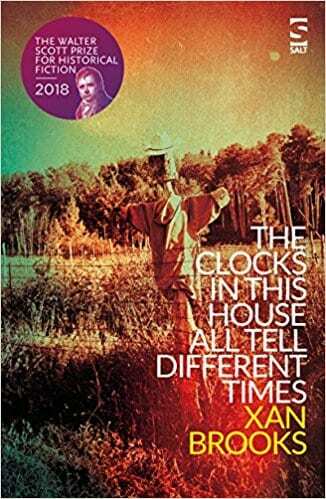 The Clocks In This House All Tell Different Times is an utterly magical read that will enrage and disgust readers beyond their wildest imagination. Carmen Marcus’s semi-autobiographical debut follows ten year old Ellie Fleck, a fisherman’s daughter growing up on the Yorkshire Coast. Ellie doesn’t understand why her mother has disappeared, but finds comfort in the stories that her father tells her of sea-gods and the ocean. As the world around her becomes ever more strange and uncertain, the lines between the real and the unreal begin to blur. Ellie is a deeply compelling, delightfully strange child with a wild imagination. Her voice is utterly unique; it comes as no surprise to learn that Marcus is an acclaimed poet. Her use of sound and rhythm creates a stream-of-consciousness narrative which carries the reader along like a current. The author is at her strongest when she evokes the world of Ellie’s childhood, using incisive details like the netting needles that “hang like wooden fish from the wall” of her father’s Baithouse. Her characterisation of the ocean itself is complex and affecting; its draw hangs over Ellie and her father throughout the novel. From the rituals and superstitions of fishing life to the atmosphere of a small, claustrophobic community, Marcus creates a setting that feels grounded and utterly real, with deep roots in personal experience. The author also does an excellent job of developing the novel’s secondary characters. The narrative is primarily told in Ellie’s voice, but is interspersed with short chapters focused on her parents and other key adults in her life. Marcus deftly uses these instances to shine light on the depths and vulnerabilities of these individuals. While Ellie begins the novel as a child, over the course of the narrative she starts to glimpse her parents as the complex, damaged people that they are. While her prose may be lyrical, Marcus does not shy away from the difficult and often brutal experience of growing up. Ellie’s struggles at school will be achingly familiar to anyone who has ever felt like an outsider. One of the most innovative features of the book is Marcus’s use of magical realism to explore societal perceptions of delusion and mental illness, although I would have liked to have seen this integrated from an earlier stage. The novel occasionally struggles with pacing: at points, the plot veers between sluggish and hurried. However, this is compensated for by Marcus’s expertly written prose and beautiful world-building. How Saints Die is not a novel to be devoured in one sitting — it should be savoured and lingered over. Overall, Carmen Marcus has written beautifully evocative exploration of mental illness, alienation and belonging through the eyes of a child. The characters and stories within it will cling to you like sea salt on your lips.